Discover the beauty of France with a luxury Saône and Rhône river cruise from Bordeaux to Lyon. 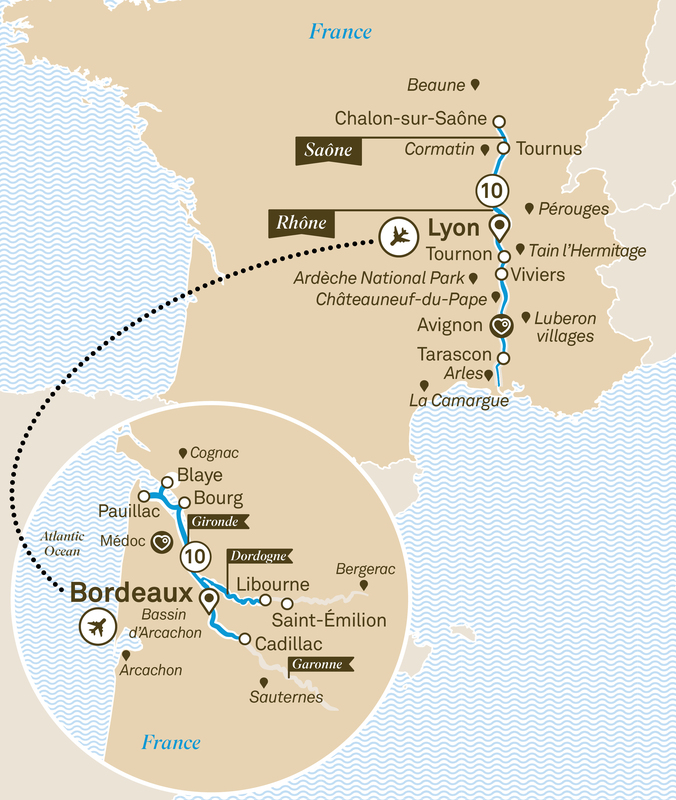 Visit destinations including the Blaye Region & Avignon. Welcome to Bordeaux. Your friendly crew will welcome you on board the luxurious Scenic Diamond for your cruise through France’s southwestern pocket. Transfer to the airport for your flight to Lyon. Upon arrival transfer to the Scenic Sapphire where your friendly crew await to welcome you on board. Explore the wonders of Bel Viaggio and Europe on this 22 day luxury cruise and tour. Visit Lyon, Tournon & Tarascon and shop with a chef in Avignon.